Dehydrating plums is a great way to preserve some of your plum harvest. Follow these instructions for the best possible results. 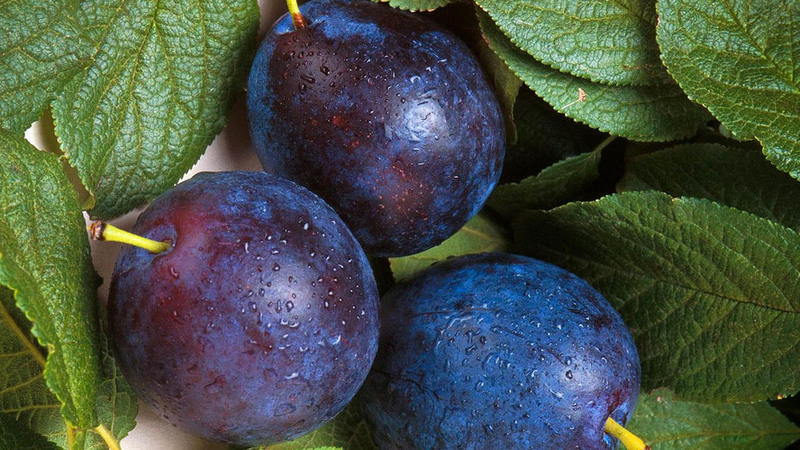 Prunes are delightful snacks and can be magnificent if made from quality fruit. Commercial prunes are typically inexpensive, however, so prunes are probably not worth dehydrating yourself unless you have a lead on a good plum tree. If you are using a dehydrator, rinse them briefly in hot tap water. If you are sun-drying, blanch the whole plums in boiling water for 30 seconds. Slice the plums in half around the pit. Give the two halves a twist to pull them apart. Pry out the pit with your finger or knife. Optionally, you can use sulfuring to further preserve the prunes. Place the plums in the dehydrator racks, cut-size up to avoid sticking. Since they will shrink, it is okay to pack the fresh plums closely beside each other. Check the instructions for your individual dehydrator for more accurate timing, but generally prunes should be dried at 145° F. After 4-6 hours, check their progress, rotate trays for even drying, and flip the prunes to face the other direction. Check every 1-2 hours to see if they are done. The dried prunes should be pliable but show no signs of moisture. The drier they are, the less they will stick to the trays. If the humidity is low, leave the prunes in the unplugged dehydrator overnight to allow moisture to equalize. Check individual prunes, dry longer if necessary, and otherwise vacuum seal, or pack into thick Ziploc bags or jars. Store in the refrigerator until you are ready to eat them.